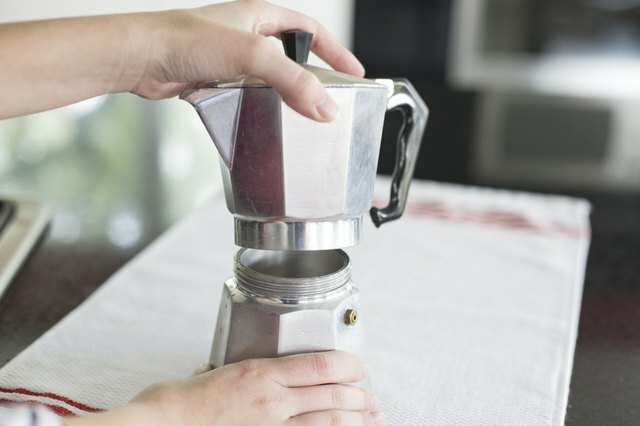 Stovetop espresso makers percolate water up a funnel from a bottom chamber, which then passes through the coffee grounds until the finished espresso is ready to pour from the top chamber of the pot. 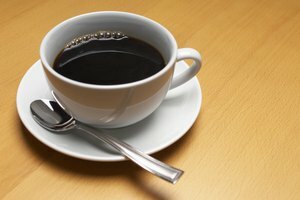 The oils in the coffee eventually coat the inside of the chambers, seasoning it so the coffee doesn't have a metallic taste. If you haven't used the pot in a while, these oils develop a rancid flavor and the pot will need a thorough cleaning. 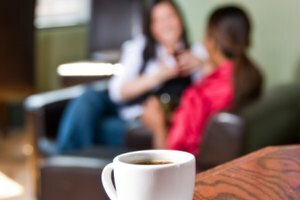 Hard water can also leave behind deposits that mean your espresso maker needs more frequent cleaning. 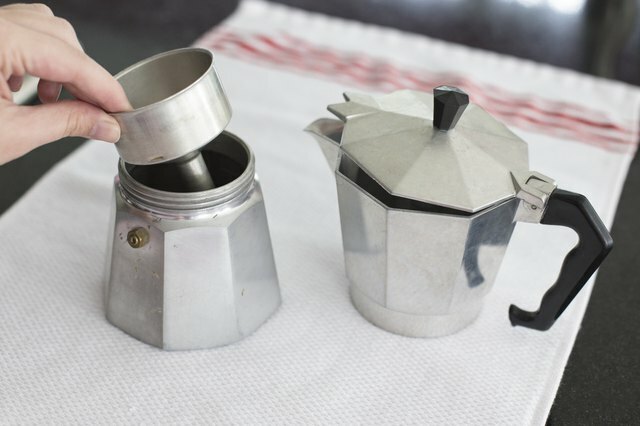 Take apart the upper and lower chambers of the espresso pot. Remove the funnel filter and the filter plate and gasket from inside the top and bottom chambers. 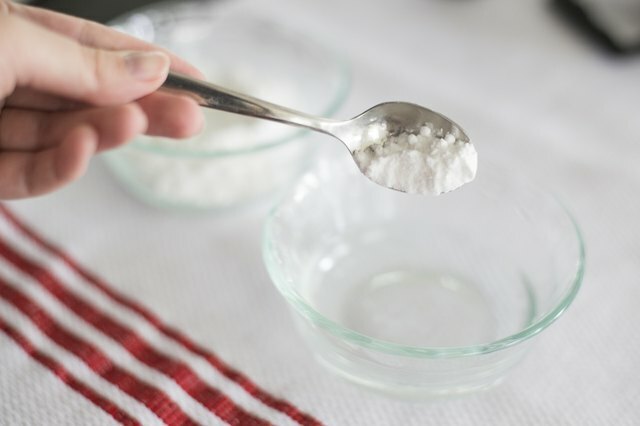 Mix one part baking soda with two parts water. The solution should be liquid, not a paste. 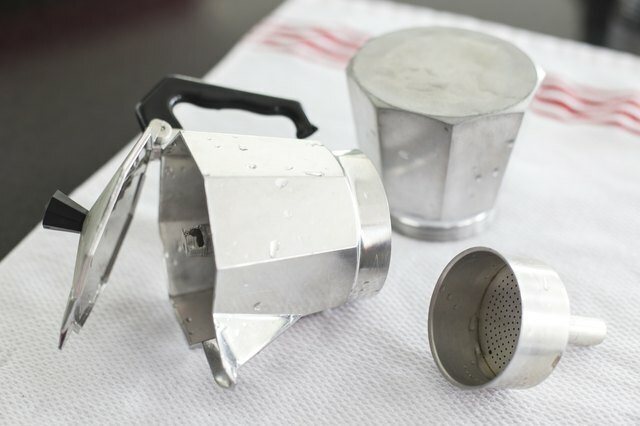 Baking soda removes the oil buildup inside the espresso pot but is a mild enough abrasive that it doesn't scratch or pit the metal. 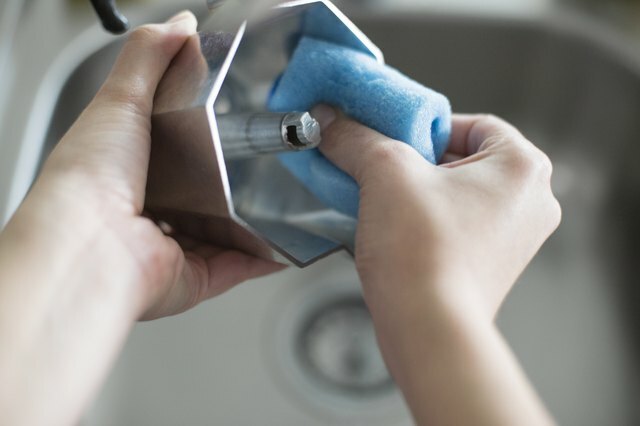 Scrub the inside of the chambers and the removable filter with the baking soda solution, using a soft sponge to clean. Use a narrow bottle brush to clean the inside of the funnel. Rinse the pot with clean water. Allow it to air dry completely before reassembling. 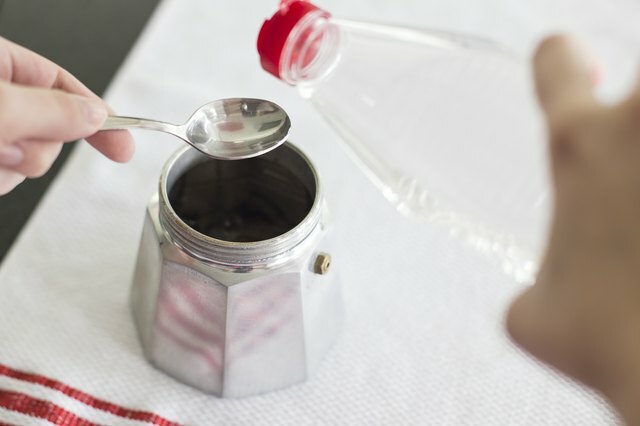 Fill the lower chamber of the cleaned espresso pot with water up to the bottom of the safety valve or to the fill line. Add 2 teaspoons of vinegar, lemon juice or a commercial descaler to the water. Place the funnel, filter and gasket and the top chamber in place. 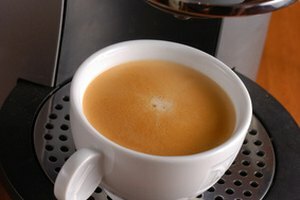 Brew the descaling solution through the pot over low heat. Remove the pot from the burner after the water percolates into the top chamber of the pot. Rinse the descaling solution out of the pot thoroughly. Leave the pot disassembled until it's completely dry. 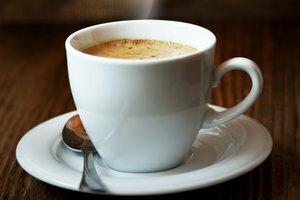 Brew clear water through the espresso pot one or two times before making coffee to ensure all cleaning residue is removed. 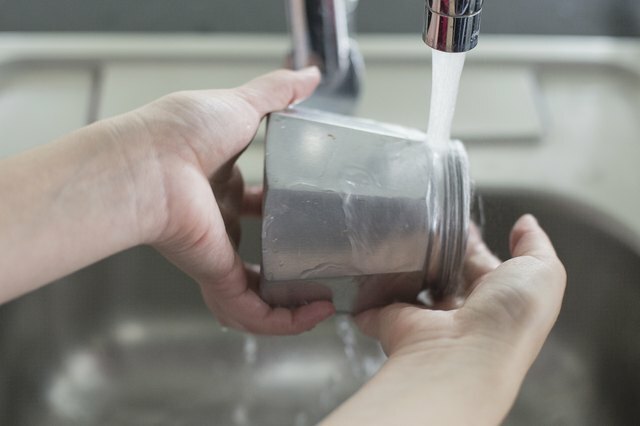 Store the pot disassembled to prevent stale odors, and so moisture doesn't collect inside and cause limescale or damage.